Everything is Possible in Odessa! 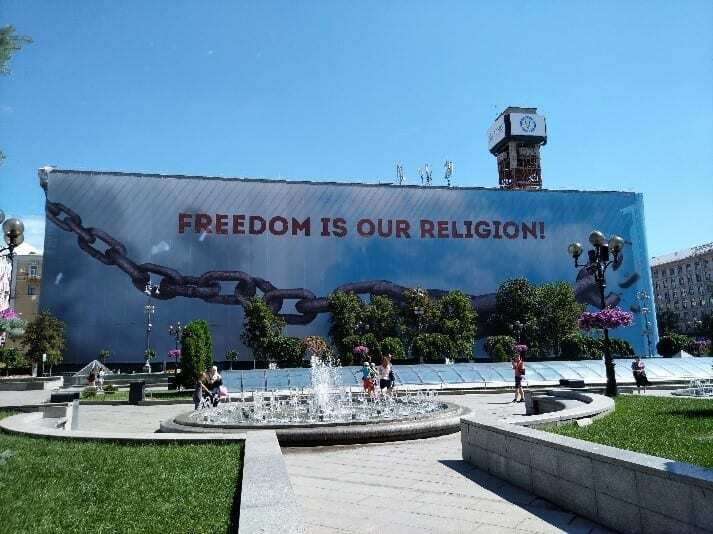 A reflection on the recent history of Ukraine by Carmen Krusch-Grün, Ph.D.
“So where are you headed?” A typical question for Germans to pose before the summer holiday season. At this point, the first difference between Western and Eastern Europe becomes apparent. In Germany, the answer ‘to Odessa’ is followed by an uncertain facial expression and the accompanying question “Where is that?” With the response “in the Ukraine, on the Black Sea”, the level of uncertainty increases, because their brainwaves are not able to produce an image of dream vacation destination. On the contrary, there was something going on in the Ukraine and it was nothing good. A conversation like this would be very unlikely to occur in Eastern Europe. 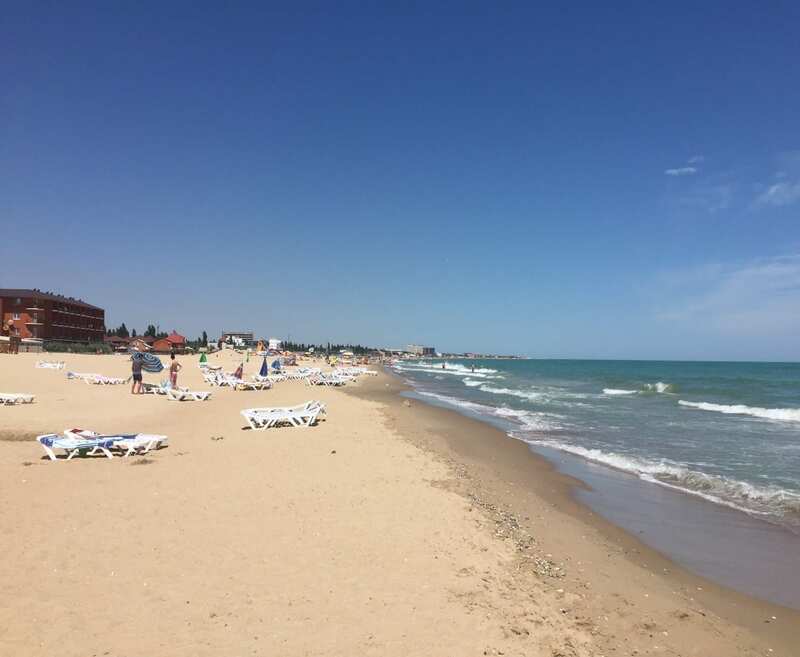 Everyone there is familiar with Odessa; everyone knows it is located on the Black Sea and that it has beautiful wide sandy beaches to offer; that it lives up to its nickname, the Riviera of the East. Everyone knows that many thousands of Ukrainians and Belarussians vacation there, but also that the country has been at war for the last three years, and much more besides. Most are well informed about the causes, its course and the current state of the conflict, as well as the overall situation in the country, because it is of serious interest to them. The third question, which is typical of both the east and west is: “Ah, you are from there?” By this point, I find myself thinking I should have just answered with “Mallorca” from the beginning, and spared the questioner and myself quite a bit of time. Because no, I am not from there, I have no relatives from there, and I also do not come from eastern Germany; I was born in Bavaria and grew up in Hesse, in a tiny village 50 km northeast of Frankfurt. An area which my neighbor, who coincidentally happens to have been the first secretary of the German embassy in Moscow in 1988, refers to as “Hessian Siberia”. To this extent, there is a relationship, though not an ethnic one. In short, I am a political scientist who specialized in the Soviet Union during my studies and lived in Moscow for nearly a year at the end of the Soviet era. There I made many good friends, some of whom had invited me to their ‘dacha’ in Odessa. While the conversation in Germany ends with a tentative “Ah, that’s interesting”, it only really begins in the East. The people there have an inner desire to discuss their history, especially regarding the transformation of the former Soviet Union. This is especially true in Ukraine, where the wounds of recent history are still open. Through my friends, I have shared a connection with these people for over 30 years; therefore, I, too, have this desire to discuss it. Hence, I will explain the longer version, which is the result of a challenging attempt to pack 30 years of professional and private experience into my vacation report. Since my return from Moscow almost 30 years ago in 1989, I have been working at the International Society for Human Rights (ISHR), as well as working with independent ISHR sections from nearly all of the successor states in this region, which covers almost one fifth of the entire land surface of the earth. Back then, after the disintegration of the Soviet system, there was a kind of euphoria among the millions and millions of the ‘soft’ revolutionaries. We, as Germans, have the best possible understanding of this; who was not in tears when all the pictures of the reunification of East and West Germany reached us in 1989? Although it happened almost three decades ago, is there anyone who had consciously experienced it who cannot remember it today? At the same time, who also forgot how difficult it was to clean up after the big celebration? If you were to compare the clean-up conditions in East and West Germany to those in the biggest country in the world, an area over 200 times as large as the former GDR, newly born without reliable help from a big brother or sister, then perhaps it is possible to gain a tiny notion of the incredible mess that prevails there today. So let’s take this year’s holiday destination, Ukraine, as an example. It is the second largest country in Europe, and it lies almost directly adjacent to us – just beyond Poland. A one, probably more like two-day drive away by car. After gaining independence in 1991, the Ukrainians living in the vicinity of Western Europe had hoped to be received with open arms. Instead, they became the ball in a game of geopolitical power. Though the fall of the Soviet Union lifted the Iron Curtain between East and West, the economic and military alliances, as well as networks of social relations that had been established for over 70 years, did not just simultaneously dissolve. Furthermore, the Iron Curtain had not only blocked the East from the West, but also the West from the East. Every German can somehow come up with the names of at least five US states without a problem; they can also name five US Presidents and five cities. This would be the simplest of exercises for us. What would be the outcome of the same questions about the former Soviet Union, our huge neighbor on the same continent? Which country would follow after naming Russia, which President after Putin, which city after Moscow? Linguistically, who would even be able to welcome one of these 300 million people in his native language? Clearly, Ukraine was not immediately received by Western Europe with open arms. Russia, the largest country in the world (even without the 14 successor states after the collapse of the Soviet Union), expected the loyalty and solidarity of its “strategically important outpost” on the western front. Whether or not it was spoken aloud, the approximate East-West deal made in exchange for German reunification was: We gave you the GDR back, we gave you your reunion; in return, you leave us alone. Ukraine could work as hard as it pleased, but the treat of Europe remained tied to its tail. What happened as a result of being in this ridiculous position over the last three decades? As was the case for almost all successor states, it was robbed by its own countrymen, who seized unimaginable wealth for themselves in the chaotic and unplanned process of transitioning from state property to private property. These became the oligarchs, who snared millions upon millions in their webs, which they used to purchase positions of power. Instead of using it to benefit their country and its population, they used it to add further millions to their own pockets. A handful of Ukrainian presidents, though voted in by the people, proved themselves over and over to be mere puppets of the oligarchy network, and in practice, were not able bake bread for their people, even in the ‘grain chamber of Europe’. In the eastern part of the country, which is not only geographically linked to Russia, but also historically, economically and ethnically, this multi-level closeness remained. In the West, on the side of the country which perceives itself to be more than geographical aligned with Western Europe, the search for a new identity was greater. Here, a sense of comfort was found on the lap of mother Ukraine. Russia was increasingly regarded as the direct successor to Soviet power, and as a threatening occupier. This view is especially prevalent in this small area, because unlike the rest of the former Soviet Union, it was first taken by the Soviets only after the Second World War; this occurred a full generation later, through the underhanded Hitler-Stalin Pact, with bitter resistance from nationalist Ukrainian freedom fighters. In the meantime, under almost two decades of Putin’s leadership, Russia increasingly came to identify itself as the successor to the power of the Soviet empire, and, under Putin’s hand, began to strengthen frightening autocratic structures. Like no other, Putin was able to intelligently and skillfully utilize the history, size, and the wealth of resources across the giant empire, as well as the pride, the understanding of values, and the love of the fatherland of the Russian people to tighten his autocracy. It was hard to believe, but after almost 30 years, it was finally about to happen; the gateway to Europe would really be opened. After years of delay, a thousand page comprehensive association agreement with Ukraine was ready to be signed. As a separate issue from the fact that this agreement would have been very economically problematic for the Ukraine, the (subsequently overthrown) President, Viktor Yanukovych, abruptly refused to sign it. This simply turned out to be more than the people could bear. The Ukrainian people took to the streets, with the ‘Maidan’, or the main square of the capital of Kiev, serving as the center of the several month-long protests. On the Maidan, the bipolar system of over a century ignited. The Maidan was in flames, and thick black smoke covered the Kievan Rus. Though presidential elections were to be held in October of the following year, there was no more patience left for waiting. Like the GDR Germans, who had climbed over the fence of the German embassy in Hungary, they came with nothing except for the knowledge that they did not want to go back. Thus, thousands upon thousands gathered on the Maidan, alone with the knowledge that they no longer wanted to bear this post-Soviet burden. No more oligarchs, no Yanukovych, no more Putin. How would this situation develop, how would it end, how would it proceed? Images from the summer of 1989 on Tiananmen Square came to mind. Would they be shot at? The world could no longer look away; the massive number and resolve of the protesters made it clear that Ukraine was at a decisive historical turning point. Even more so, Ukraine was a living embodiment of the culmination of the cold war between East and West, which had been suppressed during the post-Soviet years. Ukraine would inherently call upon the Western world to take a position, here and now, without further ‘ifs’ or ‘buts’. Finally, the West did respond and unconditionally aligned itself with the Maidan protesters. The millions upon millions of people in the east, the fighters and children of the then soft revolution, also followed the developments on the Maidan, spellbound with hope. Nevertheless, it was not a possibility to simply send the “Maidaners” on a special train to the west, as the GDR Germans were from Prague; nor was it an option to open a fence, as it happened in Hungary. On the other hand, in the 21st century during a no-longer-official cold war, a straightforward military defeat like that of the Prague Spring or the Hungarian uprising could not be replicated. A quick solution was nowhere in sight, and time went by; a great deal of time in which behind the veil, many forces with power interests eagerly stretched and pulled their threads in the web. Time during which politicians, scientists, friends, and even relatives shifted into Stasi-level friend-enemy dynamics. In the western world, the expression of the slightest doubt or criticism of the Maidan was equated with being pro-Russian, evil, hostile, and likely even personally financed by Putin. In the East, if someone did not express doubt or criticism of the Maidan movement, they were regarded as ignorant sympathizers for fascists. The role of ultranationalist, fascistic groups during the Maidan and the subsequent civil war in Ukraine was either not seen at all or was marginalized by the West. For Ukraine today, this was fundamentally verifiable. The aggressive extremist groups that were unleashed as front fighters in the heat of the Maidan, sometimes reeling out of control, were ultimately unable to gain a foothold in the Ukrainian population as a whole; they have since returned to the fringes of society. In the east, their role was played up. Here is just one example of many: From the very beginning in December, Oleh Tyahnybok, party leader of “Svoboda”, along with Vitali Klitschko’s party “Udar” and the “Fatherland’s Party” led by Yulia Tymoshenko, had already formed the ‘Maidan Councial’, an alliance to overthrow Yanukovych’s government. “They” references the original Ukrainian freedom fighters of the Second World War, including their leader, Stephan Bandera (an internationally controversial figure due to his anti-Semitism and glorification of violence). Tyahnybok was a permanent actor on the great Maidan stage, a fellow fighter with Vitali Klitschko; thus, many western politicians who visited Kiev to support the Maidan protesters also shook Mr. Tyahnybok’s hand in a friendly manner, very likely without knowing what kind of person they were dealing with. Such an insensitive misunderstanding could not have taken place in the East, because everyone there had long been aware of and understood his racist speeches. His radical tone targeted not only the Russians, whom he continuously threatened and insulted, but also Ukrainians living in the east and southeast, as well as in central Ukraine, who had voted in the president’s party the year before. They felt personally affected, rejected, and outcast. Putin had an easy time exploiting the sudden outgrowth of anti-Russian sentiment, as well as European insensibility, by throwing it in the faces of his people, in concentrated form. There was plenty of fodder. Prominent Ukrainian politicians and sympathizers such as Yulia Tymoshenko or Arseniy Yatsenuk, who were well known in the West, did not mince words when it came to making statements against Russians in general, as well as against the Russian-speaking population in the Ukraine. So the days on the Maidan dragged on into eleven eternal, nerve-racking, see-sawing, and destructive weeks, until finally on February 18, 2014, shots were fired and eighty people left their blood on the sacrificial altar of freedom. The bloodshed triggered the downfall of President Yanukovych, who fled on the same evening. With their blood, more and more blood began to flow in combat operations of various scales across the country. With calculated Russian support in the eastern part of the country, such clashes manifested around the large cities of Lugansk and Donetsk, directly on the Russian border; these continue to take lives every day. While no blood was spilt during the Russian occupation of Crimea, with as Russian as the Crimean peninsula may be, annexing it through an expedited process was similar to covertly amputating the arm of an ill and defenseless patient. Countless atrocities, including cluster bombs, arson, shootings, kidnapping, and torture followed, and not only on the side of the east Ukrainian fighters and the Russian guerillas. The numerous “private regiments” maintained by west Ukrainian oligarchs also did not hesitate to engage in such activities. Notorious for this is the open neo-Nazi Asov-Batallion; his co-founder and chairman of the “Radical Party,” Oleh Lashko, was filmed torturing a self-proclaimed enemy; today he is a member of the Ukrainian parliament with more than 7% of the vote. Questionable legal regulations were declared as a necessity for security and defense of Ukraine as a part of the “anti-terrorist operation”, which is the official term for the war in Ukraine. Conscientious objectors can now be arrested, and deserters of battle can be shot. Russian media, films, and artists have been banned. 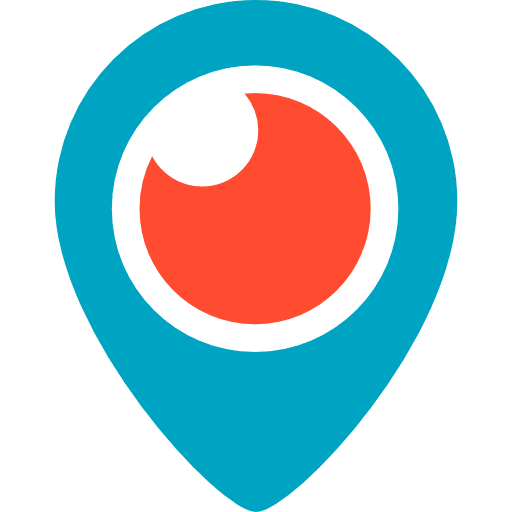 The publicly accessible website “Mirotvorez” (Peacemakers) lists the personal data and images of about 30,000 persons classified by the website operators as “enemies” of Ukraine, including thousands of journalists and numerous artists. The people on this list have suffered severe consequences, including in some cases, being shot on the street in broad daylight, which later were listed on the site as ‘liquidated’. The cruel act committed in Odessa on May 2, 2014, in which a trade union building containing pro-Russian protesters was set on fire, resulting in nearly 50 deaths (32 of which burned alive), cannot go without mention. In the eastern war zone, which encompasses about 10% of the Ukraine, at least 10,000 human lives have been extinguished; 50,000 more have been wounded, and two million were forced to flee their homeland. A large part of the area has been heavily bombed, leaving utter destruction as well as trauma and destitution in its wake. Overall, it was not a “soft revolution”; but was it a “Revolution of Dignity“, as it was called in Ukraine and the West? Was it worth it to free itself from the Russian yoke and open the barriers to Europe? With all of these memories in my luggage, I arrive at the airport in Odessa. The last time I was in Odessa was almost 30 years ago. At that time, in the Soviet Union, I was not allowed to leave Moscow as a foreigner from the West. However, I traveled with my friends from the Russian underground art and music scene, to some forbidden cities beyond the capital. This included Odessa. There too, I got to know friends from the art and music scene, young taboo-breaking revolutionaries, who developed their own culture and forms of courageous dissent against the restrictive Soviet system. Something like the Soviet version of flower-power. This time, the whole group was not waiting at the train station as in earlier times; instead I was picked up at the airport by a brand new jeep. “Hello and welcome to Odessa, everything is possible in Odessa now!” says a beaming Niko as he greets me. My friends had been well established in Moscow, but they decided to turn their backs on Moscow during the fighting in their home country and join the side of Ukraine. They decided to move to Odessa two years ago. I have been in Ukraine many times during the past few years, even a few times on the Maidan, but always in a professional capacity. Now I can spend a week with my friends at the beach, under the sun, in the sea, and by the camp fire. Perhaps I would get an answer as to whether or not it was worth it. Niko, my good friend and kindred spirit, apparently sensed that and therefore greeted me with precisely those words. It was his motto throughout the week. On the way to the dacha, he told me that the whole police force had been replaced, and that he had not been stopped or ripped off once. He commented on how incredible it was, that I could so easily fly there without a visa, and how our children can communicate with each other in English. He repeated what he had told me some time ago at a meeting in Frankfurt, which was that he had initially thought the fascists were on the advance in Ukraine. However, when he visited his mother in Odessa and saw the demonstrations in the streets, he found that the pro-Ukrainian demonstrators were made up of hundreds of colorful, friendly people, many being parents with children. On the other hand, the pro-Russians were composed of men’s faces with dark expressions, which frightened his children. He understood this to mean that the Russian system had betrayed him again, just as the Soviet one had back then. Back then he had told me a story about his childhood, which stood out in my memory all these years. His school was visited by American students; this visit was announced far in advance, and preparations were made for weeks, to polish everything to perfection. All of the students were excited and they were constantly instructed to make a good impression. Then this day of days finally arrived. There they were, all sitting there in their uniforms, with their red neck kerchiefs, in an almost military fashion. And then the American children arrived: cool, casual, gum chewing, somewhat apathetic, and without discipline. Free. He felt so stupid and ridiculous in that moment, so out of place and constrained in his uniform, that he envied the American children and their freedom. For Niko, this freedom is now blowing in Ukraine, in Odessa, and it is blowing in the right direction – towards Europe. Even if Poroshenko is not a good president, he will not be able to permanently establish himself in Ukraine; he will not be able to build an inviolable golden legacy like Putin’s in Russia. He will quickly disappear and the next one will come; soon, a good president will follow. The critical thing is that the aisle to Europe is open; everything else will automatically fall into place. For now, it is important that things are moving in the right direction, as much already has. 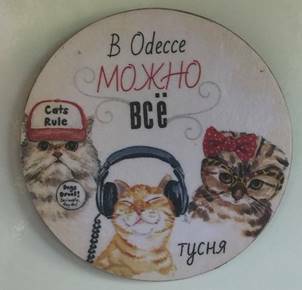 Moscow is becoming increasingly bleak; Putin pictures, busts, shirts, cups, watches and more are visible everywhere. Even in regular shops, his picture is featured on the wall. Niko could not stand to see it anymore; he had already had to put up with this with Lenin half his life. He could no longer tolerate national propaganda in Russia, especially now, that he is experiencing firsthand the way in which it is intentionally directed against Ukraine. 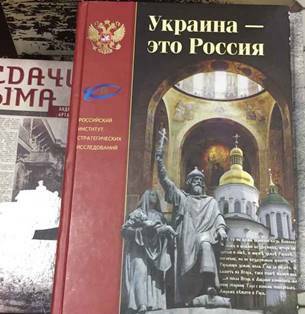 Russian bookshops are full of books on the “real history” of Ukraine. A new book even bears the title “Ukraine – that is Russia“. Niko was also disappointed by some of the Russian artists from the underground scene of the past, people who had risked a lot for freedom back then, who, after making it as successful artists, no longer set freedom as a top priority today. Thus, he paid all the more attention to the fact that Makarevich, from the rock band Mashina Vremeni, deliberately gave a concert in Odessa and openly denounced the annexation of Crimea. I can understand Niko’s position well; after all, he has been one of my best friends for 30 years, so I can empathize. Nevertheless, every day while lying on the hot sandy beach on the Black Sea, I think about the fact that in the same country, only a few hundred kilometers to the north, millions of Ukrainians stand traumatized in the rubble, and suffer infinitely. This includes at least a million elderly people and as many children and young people. People who were born and raised there, who still reside there. Did these people, who were caught in the cross-fire, really have a choice in the matter? “Is it not so, that anyone who truly held freedom as a top priority would be doing everything humanly possible to end this war?” I ask Niko. With so many innocent lives, so many children, so much death and destruction in their own country? Niko holds pity for the victims of the war in Donetsk, Lugansk, and the surrounding area at arm’s length. He decided on freedom; he turned his back on Russia with his wife and children after 30 years, which was not a simple but a resolute decision. That was his contribution. From his perspective, the people in the east decided the opposite, to join Russia. Russia began the war and if Putin were to halt his support, the war would come to an immediate end. That lies in Putin’s hands alone.